US food manufacturer, Conagra Brands, has announced it will distribute the popular plant-based brand Gardein, throughout the UK in Sainsbury’s stores from next year. 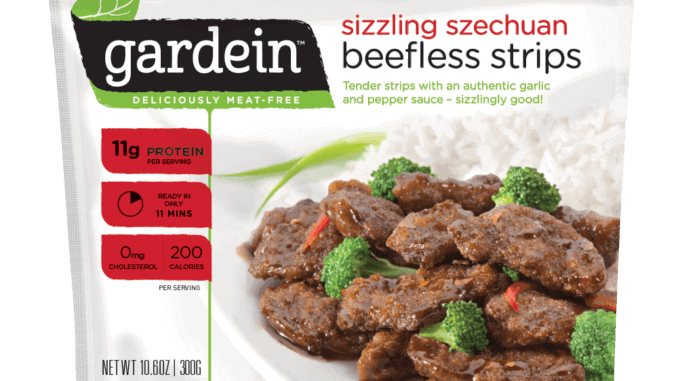 Gardein (garden protein) is a product line of meat-free frozen foods such as plant-based fish fillets, and chicken strips, which are produced in British Columbia, Canada. In November 2014, Pinnacle Foods purchased Gardein for $154 million, and Conagra Brands then attained Gardein through its $10.9billion acquisition of Pinnacle this year. The company was established in 2003 and launched their first frozen products in 2009, to include alternatives to beef, chicken, fish, mince, and turkey, with a gluten-free option. Gardein has received numerous awards for their offerings; In 2007 they received PETA’s Company of the Year Award, and several awards have been received by them yearly since then. It is thought that the products which will be launched into Sainsbury’s next year will include: Sizzling Szechuan Beefless Strips, Mandarin Orange Crispy Chick’mn, Classic Meatless Meatballs and Golden Fishless Filets, and the launch date mentioned is 2nd January. 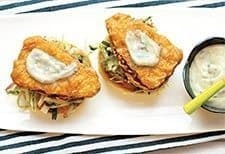 This particular vegan writer can confirm that these products are definitely worth getting excited about, especially their alternative fish fillets, which are among the best fish alternative on the market.